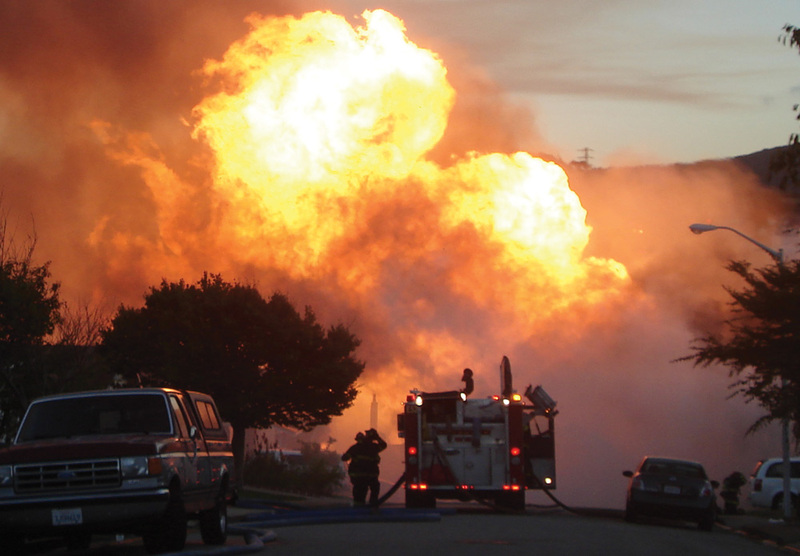 Last year, on the evening of September 9, 2010, Line 132 of Pacific Gas and Electric Company’s natural gas transmission pipeline in San Bruno, California, ruptured. The escaping gas — enough gas to power 1,200 residential households for one year — created an inferno that fatally injured eight people, injured 58, destroyed 38 homes, and damaged 70 others. Tomorrow, the NTSB will meet to discuss the final report prepared by the team who has been investigating this accident for nearly a year. It’s been a difficult investigation, especially since the pipe that ruptured dates back more than half a century and getting accurate information on the line has been a challenge. While the San Bruno community has been working together to recover and rebuild, the NTSB’s role is to find out what happened and make recommendations to ensure that future tragedies are prevented. We have already issued 10 recommendations as a result of our work on this accident. Tomorrow we will approve our final report and make additional recommendations with the hope that the lessons of San Bruno are well-learned and are never repeated. You can watch the meeting live via webcast on Aug. 30 starting at 9:30 a.m. We will also post a synopsis of the NTSB report, including the probable cause, conclusions, and a complete list of all the safety recommendations on our website following the meeting. The weekend is almost here, and by the end of the workweek, you may be feeling a little fatigued. Having enough time away from the office to rest is critical to performing well at work, and it is all the more important when that work involves transporting people on complex machines like trains and planes. Earlier this month, the Federal Railroad Administration issued its final rule on hours of service for employees providing commuter and intercity rail passenger transportation. The product of several working group and task force meetings, it took less than 6 months to move from proposed to final rule. I was encouraged to see the FRA move forward with a significant change, so quickly. It’s regrettable that we don’t have a final rule because some special interests are opposed to working within this proposed system for addressing fatigue and improving safety. The FAA deserves much credit for its hard work! But like a long work day, time is not our friend. I hope that the roadblocks that are preventing the FAA from finalizing this rule will be eliminated very soon. This summer has seen record temperatures throughout the nation. I know that during the hottest July on record in Washington, D.C., we really appreciated our air conditioning. Of course, air conditioning requires electricity, which depends on coal among other power sources. 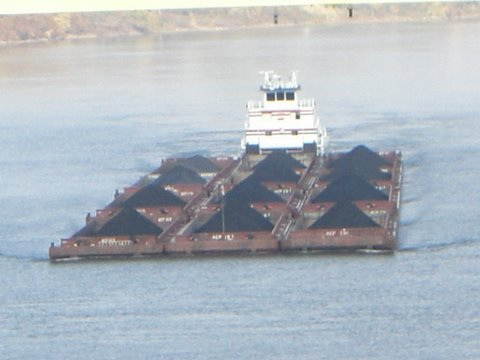 Did you know that the tugboat, towboat, and barge industry transports one-fifth of America’s coal on our nation’s inland waterways and coasts? One way to make sure that coal — as well as the thousands of other products carried on commercial vessels — get to their destinations safely is for the waterways operators to operate under a safety management system (SMS). The NTSB believes in the power of an SMS, when developed well and used to its full potential, to identify problems in all modes of commercial transportation before they lead to tragedies that take lives and interrupt commerce. That’s why the NTSB placed SMS on its Most Wanted List in June. Last week, the U.S. Coast Guard published proposed safety regulations to establish SMS standards for the industry. This is an important step to improve safety. Further, through the leadership of the American Waterways Operators, the towing industry has encouraged the development of, and yesterday announced their support for, this important initiative to improve safety. Congratulations to the U.S. Coast Guard and the AWO for this important step to improve safety on our nation’s waterways. As too many Americans have learned in recent years, disasters, natural or man-made, are devastating. But in the aftermath of a disaster, chaos and destruction are replaced with order through the coordinated efforts of many organizations. When the NTSB begins its work at an accident site, the American Red Cross is on-scene with us to support not only the survivors of a transportation disaster, but also the families and friends of the victims by assisting with housing, food, and counseling services. A recent example of Red Cross assistance occurred earlier this summer following a truck/Amtrak train collision near Miriam, Nevada. Shortly after the accident, they established a temporary gathering center in a nearby elementary school where the surviving passengers could find shelter from the desert heat and injured passengers were triaged. The relationship between the American Red Cross and the NTSB was formalized by Congress in two important pieces of legislation, the 1996 Aviation Disaster Family Assistance Act and the 2008 Rail Passenger Disaster Family Assistance Act. The American Red Cross has the primary responsibility for coordinating the emergency care and support of the families of passengers involved in certain aviation and passenger rail accidents. 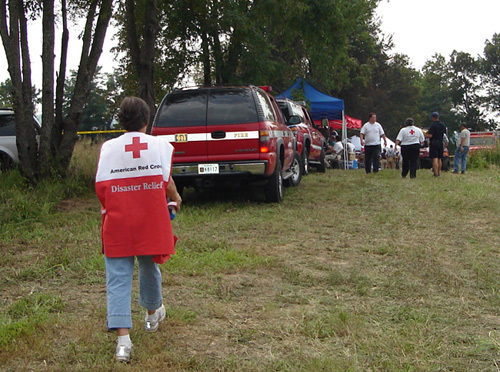 In recent years, our relationship with the American Red Cross has been expanded to other modes of transportation, so the NTSB can count on this essential support when we investigate highway, marine, and pipeline accidents as well. The NTSB is grateful to the American Red Cross for the humanitarian services they provide during very difficult times following transportation accidents. We appreciate our partnership with the American Red Cross and look forward to its continuation for many years to come. This week in Orlando, FL, more than 400 of our nation’s top professional truck drivers are gathering together to test their skills at the American Trucking Association’s (ATA) 47th National Truck Driving Championships. 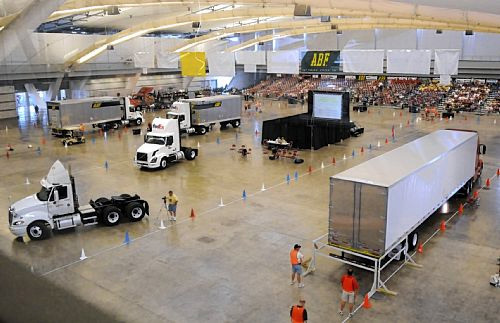 Commonly referred to as the “Super Bowl of Safety,” this year’s annual event is bringing together 400 truck drivers, who have already won competitions at their state championships, to compete at the national level. For the next four days, the drivers’ skills and knowledge will be tested during written exams, pre-trip inspections and on-course driving. Each driver will maneuver through one difficult obstacle after another, all the while demonstrating precision and pinpoint control. On Saturday, when the competition is over and the scores are tallied, one driver will emerge as the National Grand Champion. And while that driver will have rightly earned the title of Champion, each of the competitors deserve recognition. America’s professional truck drivers keep our economy moving. They travel every day –often very far from home— along our nation’s busy interstates, highways and city streets to safely deliver their cargo. Events like this help reinforce drivers’ attentiveness to the safe operation of their truck. While I wish the drivers success in their competition, I hope that all truckers will strive for safety with every trip… that way, we all win. Last week, I had the privilege of attending EAA AirVenture in Oshkosh, WI. As aviation buffs know, AirVenture has evolved into one of the world’s largest “fly-in” jamborees and each year brings together more than 500,000 pilots and aviation enthusiasts from around the globe. While there, I had the honor of attending the Women in Aviation International’s (WAI) annual “WAI Connect” breakfast, which celebrates women aviators. The day started with a re-enactment of the life of Harriet Quimby by Connie Tobias, a 30-year aviation veteran and US Airways captain with more than 20,000 flight hours. Quimby’s story is one of determination and drive and perhaps above all, a “can do” spirit. She simply would not take “no” for an answer. She broke new ground then and, thankfully, women in aviation are still breaking new ground today. During breakfast, I had the pleasure of meeting two remarkable women — Marty Wyall and Anna Dietrich. 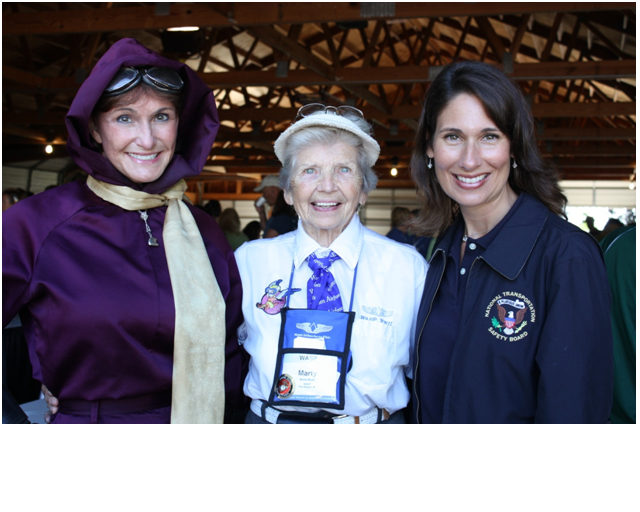 Wyall, a member of the Women Airforce Service Pilots or WASPs, flew trainers during World War II and with her sister WASPs, broke barriers, challenged norms, and helped pave the way for women to fly in the military. Dietrich is Chief Operating Officer and one of the founders of Terrafugia, Inc., the company that is breaking new ground with its flying car. As I told the WAI membership, these two women’s pioneering accomplishments echo Harriet Quimby. Just like Quimby, they knew what they could do, went after it, and did it. My challenge to the more than 200 women gathered at “WAI Connect” was this: Live up to the legacy of Harriet Quimby, Marty Wyall, and Anna Dietrich. Dare to be different, redefine normal, and strive for the extraordinary. At the same time, bring forward the next generation of aviators. Show them how to be daring, but teach them to fly safely.